STURGIS — A city employee received the highest recognition presented by the Sturgis Area Chamber of Commerce during its annual banquet and awards ceremonies. 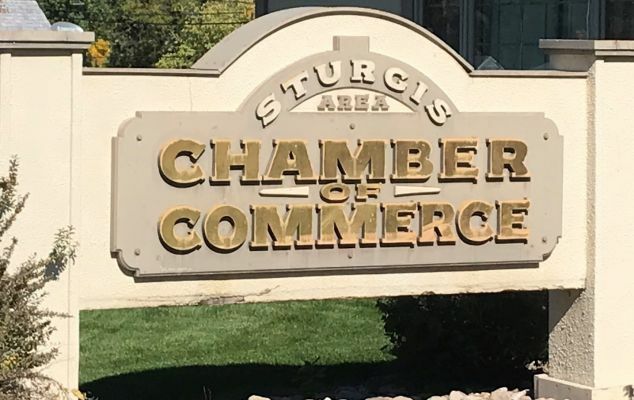 The Sturgis Area Chamber of Commerce honored individuals and businesses for a commitment to the 141-year-old community, whether through volunteering, sponsorships or becoming a part of the city’s growing number of storefront businesses and annual events. City Manager Daniel Ainslie received the Key City Award, the chamber’s highest award. Veronica Grosek, executive director of the chamber, spoke during the annual event, reviewing the 2018 year in Sturgis and giving those attending a look into 2019. The director shared the Chamber’s objectives, noting priorities that include increasing transparency and collaboration with members, promoting Sturgis as a year-long tourist destination, reviewing member services and increasing the value of membership in the chamber and evaluating chamber events and making strategic improvements.